Collaborative work with Petra Farinha. 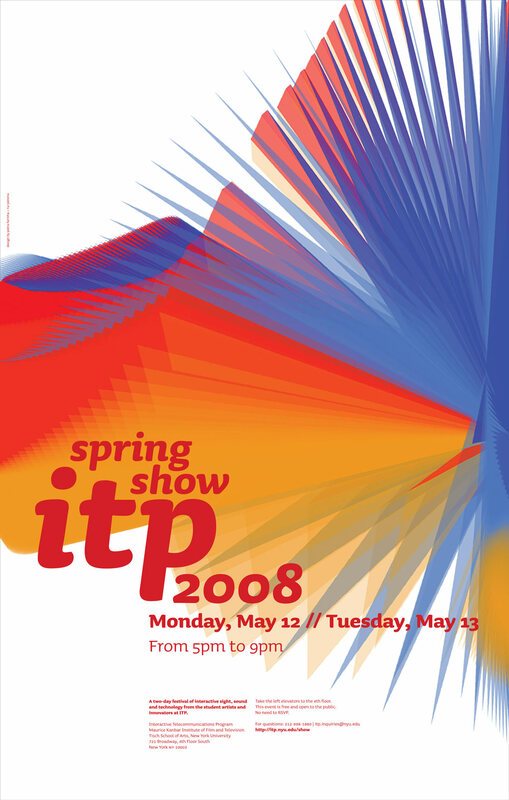 Generative graphics created for the ITP – Spring Show’08 graphic package including Poster and Postcard. Coded in OpenFrameworks and exported as vector graphics to be used by Petra’s design and typographic layout. © 2008 rux-werx-(w)here. All Rights Reserved.